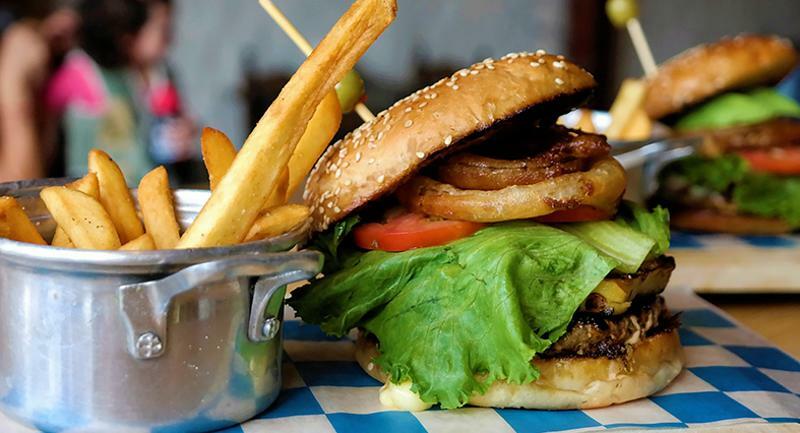 There are more than 40,000 mentions of burgers on restaurant menus nationwide, according to Technomic’s MenuMonitor, and the number has held pretty steady year over year. How to stand apart from the crowd? Find inspiration with the five craveable recipes here. 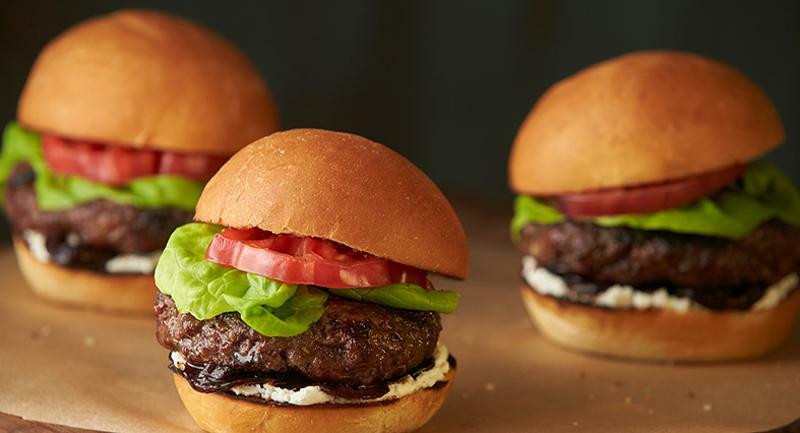 Chef Izard mixes ground beef with shiitake mushrooms to create her version of the plant-forward blended burger. She differentiates the burger with housemade seasonal condiments, including asparagus tapenade, rhubarb mostarda and brown butter miso aioli. 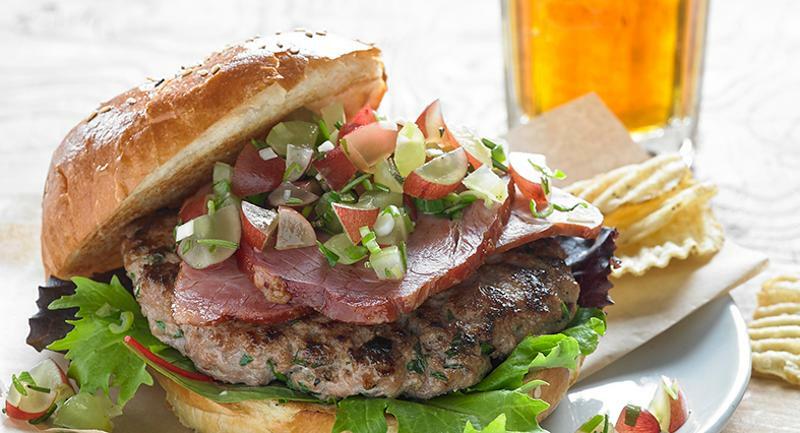 Signature toppings can turn an ordinary burger into a craveable one. 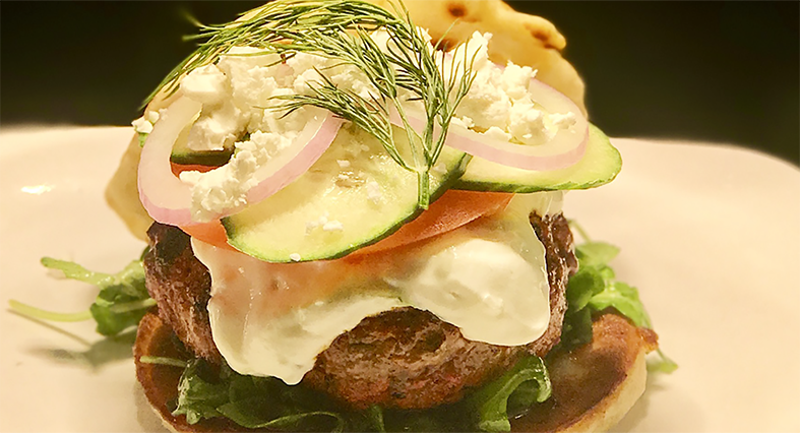 At Birchwood Cafe in Minneapolis, chef Paulsen gives a grilled turkey burger a French accent, topping it with a creamy blue cheese-walnut spread, grape-rosemary salsa and aioli flavored with garlic scapes. A bit of spicy sambal adds a hint of heat. 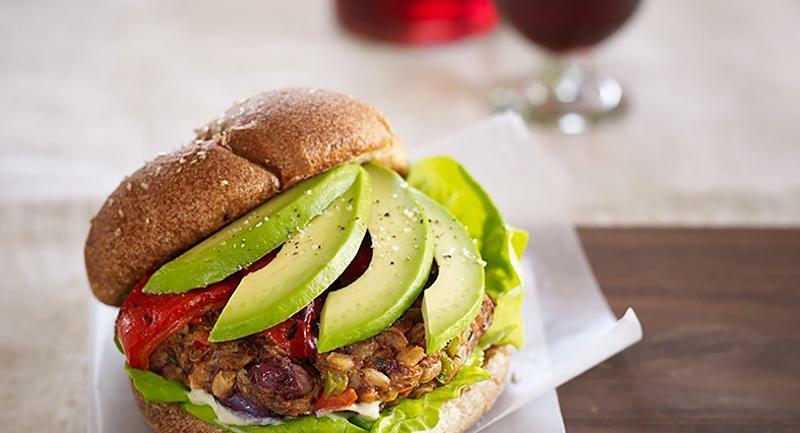 Veggie burgers are available commercially, made from plant-based ingredients such as grains, soy and beans. At Little Bear in LA, chef Guerrero crafts a veggie burger in house from farro, red beans and mushrooms, then tops it with a tofu aioli and sliced avocados. The low-labor, high-flavor recipe will tempt vegans and flexitarians alike. Differentiate the burger lineup by adding a nonbeef option for meat lovers. 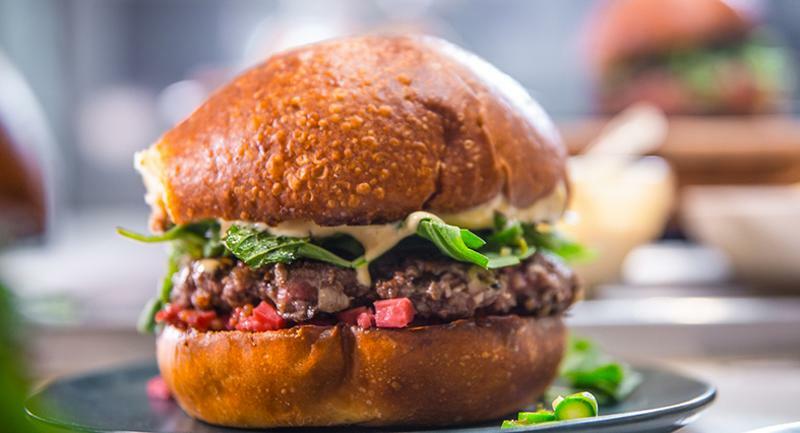 At Blackbelly in Boulder, Colo., chef-owner Rosenberg combines ground lamb and pork for a signature burger, adding a blend of rosemary, garlic, cumin and smoked paprika to jack up the flavor. Goat cheese and balsamic onions add a sophisticated touch to the build. At Astoria Market & Cafe in Cleveland, chef Kobrinski does a different kind of blended burger. He combines diced crimini mushrooms with a mix of ground lamb, beef brisket and oxtail instead of the usual beef. Mushrooms can stand in for a percentage of any type of meat in a a standard recipe, creating a more sustainable burger. Take sustainability to the next level by using oxtail and brisket trim left over from other applications.